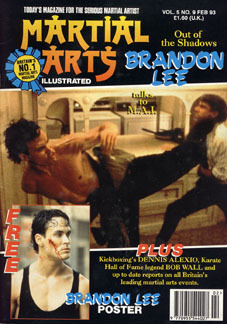 Martial Arts Illustrated, February 1993 (U.K.). "Out of The Shadows...Brandon Lee". Plus free Brandon Lee poster.